The tutorial I'd like to share with you involves creating stencils from stamps. 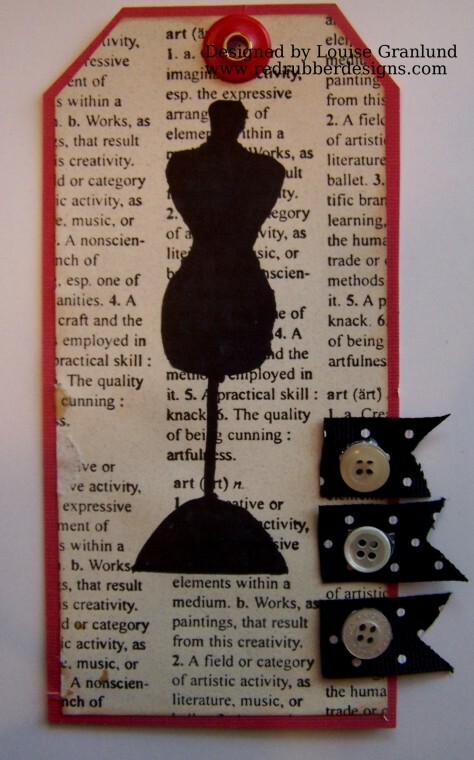 This is a very easy method which expands the way you are able to use your stamps. 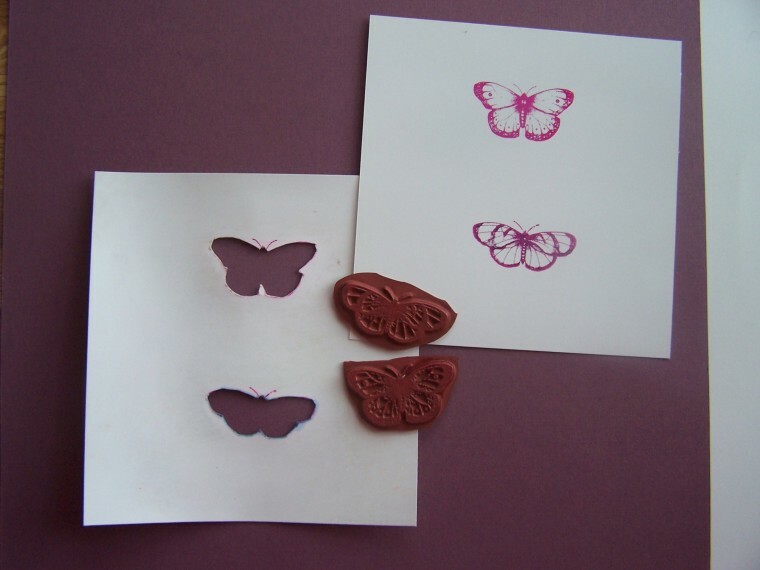 Not all stamps work well as stencils, so you will want to choose your stamp carefully. Some trial and error may show which ones are the best fit for this. Butterflies are one design that typically work well. So I've chosen these two butterflies from the Victorian Hearts set. I used a glossy paper to stamp my design. It's a little sturdier and the gloss will allow me to wipe off any medium that gets transferred to it. That way I can use the stencil over and over. 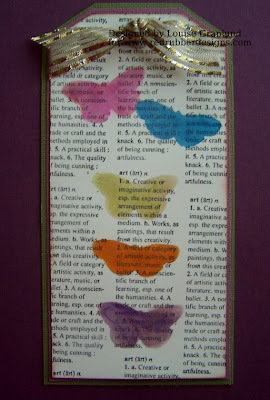 After stamping my butterflies I carefully cut them out creating my stencil. Before I use my butterfly stencil in a project, I am first going to create a text background for it. I've chosen a definition stamp from the Well-Defined background set. 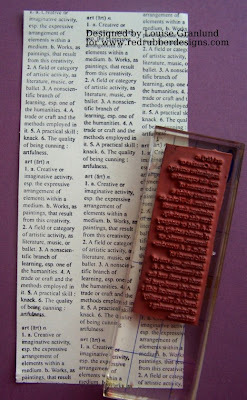 I stamp it repeatedly on a piece of paper to create the background shown. I then use my stencil to create the butterflies here. The mediums that can be used with stencil are limitless. For mine I used a Gelato crayon which allowed the background text to come through. 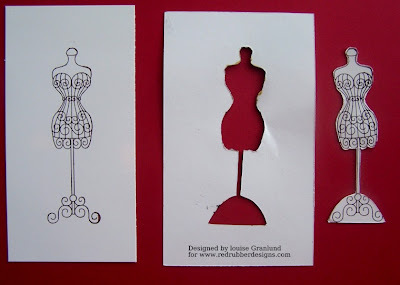 You can use watercolors, markers, paint, or paste as well with your stencils. I thought the sewing mannequin from the Sew Thankful set would make a great stencil as well. Once again, I stamped it on glossy paper and then carefully cut it out with an Exacto knife. This time I stamped it on my text paper with black marker. Because of the darker color, the text does not show through. 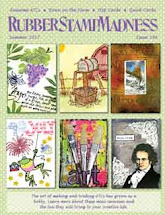 Take a look at your stamps with an eye towards using them as stencils. You'll see how much more use you can get from your stamps! 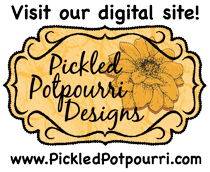 in the Red Rubber Designs store! Great idea! That is why I never have much trash...lol! Love the colorful butterflies!